Mike will be leading a Full Primary Series session starting at 4.30pm on Saturday 4th November. We will be counting through the correct vinyasa for the full series. 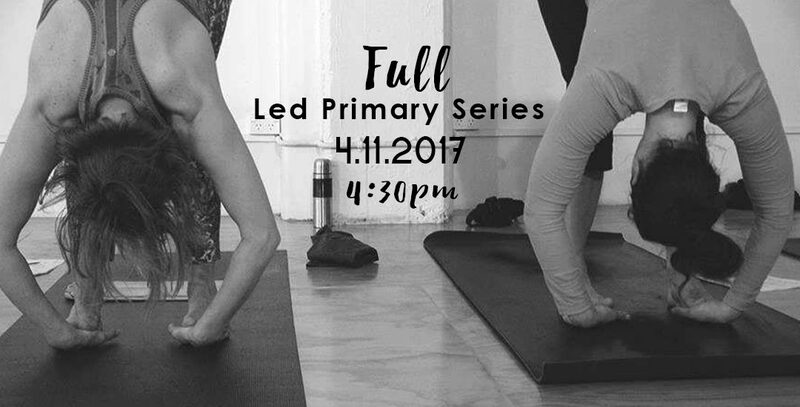 You do not have to be practicing all of Primary Series to attend this session. Normal charges apply, so you can use your usual pass to attend. Those that want to can join us after the session for a meal somewhere nearby.